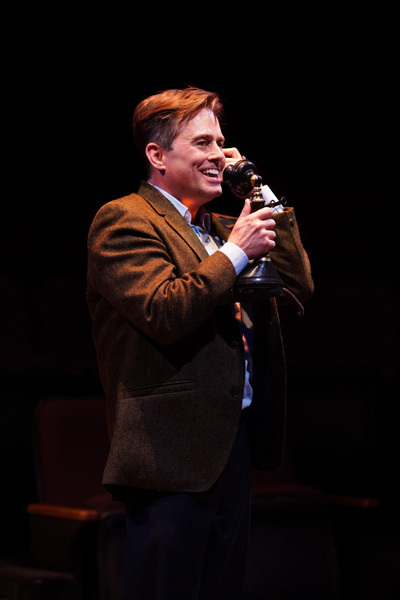 IMAGE: Martin Burke in the ZACH Theatre’s production of This Wonderful Life. Photo by Kirk Tuck. 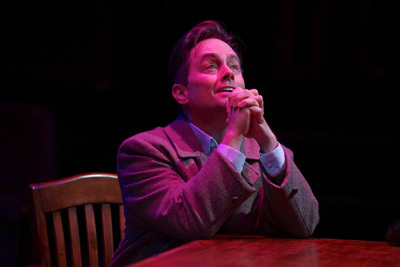 Martin Burke in the ZACH Theatre’s production of This Wonderful Life. Photo by Kirk Tuck. 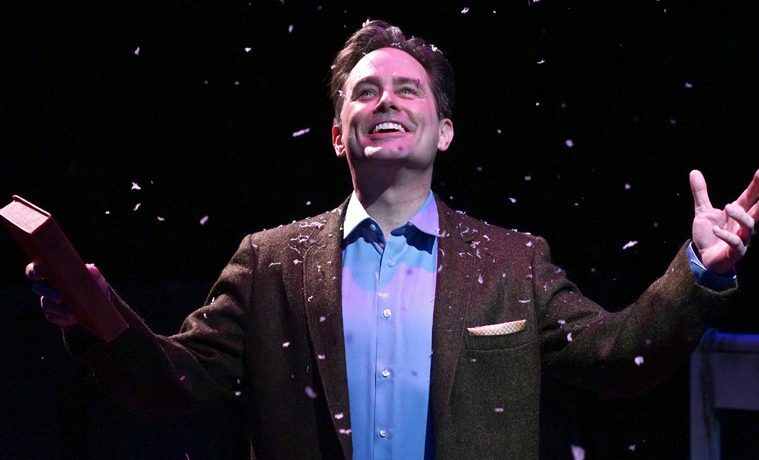 Austin’s ZACH Theatre presents This Wonderful Life – a lively adaptation of the classic Christmas film It’s a Wonderful Life, through Dec. 29. 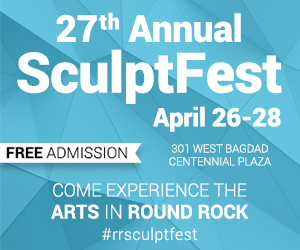 “Austin’s favorite actor” (Austin Chronicle), Martin Burke, brings an impressive 37 characters to life, including “George Bailey” a la Jimmy Stewart, “Mary,” “Clarence the Angel” and “Old Man Potter”, in this charming one-man show. Arts + Culture theater writer Jacey Little visited with Burke to discuss the Austin premiere of This Wonderful Life. Arts + Culture: For most Americans Frank Capra’s It’s a Wonderful Life is a Christmas classic. What was your previous relationship with the film? Martin Burke: I grew up watching this movie every Christmas. My Mother and Father loved Jimmy Stewart so I was fortunately exposed to all of his classic movies. I honestly love It’s a Wonderful Life. I say that in the play and it’s 100% true. A + C: Staging such a revered classic in itself is a daunting task, but to play every character is even more of a feat. How many characters are you portraying, and what are the challenges of this task? MB: Yes, staging a classic, especially one that includes Jimmy Stewart, is a very daunting task because of people’s experiences with the movie and Jimmy Stewart. I haven’t actually counted the number of characters I play, but I think it’s somewhere between 30 and 40. The most challenging part of staging a one-man play like this is finding the simplest way to tell the story. The director, Richard Robichaux, has been outstanding at leading me to the simplest, most accurate choices. We’ve talked at length about not making this theatrical experience something akin to a Vegas impersonation act. It’s a play with an amazing story that just so happens to be performed by one man. By simplifying movement, removing gimmicks and any cleverness for the sake of being clever, the play really comes to life. I hope that people get lost in the story, and only after the show ends does it come back to them that it was only one man. A + C: I understand you have a long history of solo performances, specifically a fifteen year run of Santaland Diaries and playing 40 characters in Fully Committed. How have these productions informed your process? MB: I have to admit that, no matter how many one man shows I’ve done, it is always daunting to face 40-50 pages of MONOlogue. I have learned over time that with shows like this that my anxiety is always greater because of being the singular person on stage responsible for telling the story effectively. I approach the script in the same way that I would for a play with a whole cast of people in terms of analysis and character work. However, I find it most helpful to be completely memorized when we start rehearsing a one-man show. Having the script in your hand and not knowing the lines can waste a lot of time. Rehearsal should be a time of play, exploration and discovery. A + C: What was your favorite moment in the film prior to exploring the story as a one-man show? MB: In prepping for this production, I watched the movie several times and was blown away by something new every time I watched it. The performances are absolutely brilliant. I do have a fondness for the scene where George and Mary walk home from the high school dance and break windows in the old Granville house. I also love the scene where George and Mary share the telephone receiver while talking to Sam Wainwright. It’s such a romantic scene. And, of course, I love the end of the movie when George returns home and sees his children, and Mary comes in and then the whole town pours in to help George get out of a financial bind. I cry every time. In the play, I am surprised to say that some of my favorite scenes are those in which I get to play Mr. Potter, the banker and George’s nemesis. This is in part because these are some of the simplest scenes in the show, and in part because Potter is a villain, and I rarely if ever get to play the villain. A + C: George Bailey’s story has a dark edge: a man driven to suicide, overwhelmed by life’s disappointments and broken dreams. What is your take on his journey? Who is our protagonist? MB: George Bailey is most certainly the protagonist in the play. I think his journey is biblical in its proportion. He is driven to consider suicide, but his amazing, selfless nature kicks in the instant he sees Clarence, a complete stranger, drowning in the river. He is a man that is given a great gift, a chance to see what the world would be like without him. This “vision” profoundly changes him and his perspective. He sees that he has always been where he should be doing exactly what he should have been doing. I like to remind myself of that as often as possible, that I’m where I should be, doing exactly what I should be doing and not pining for a life that could have been. It makes me more present and thankful and I think that’s what George’s journey teaches him. A + C: Has exploring the life of George Bailey affected your feelings towards Christmas? MB: The story really isn’t about Christmas. It’s just that George’s crisis happens on Christmas Eve. It resonates so strongly during the holidays because one of the giant themes of the movie is family. That’s what finally makes George want to live again, his wife and children. He begs Clarence, his guardian angel, to get him back (to his life), says he doesn’t care what happens to him, he just wants to get back to his wife and kids. It’s very powerful and incredibly moving. The holidays for me are about family and I’m grateful that for the last 16 years, I’ve been able to spend those holidays with my ZACH family. I owe a great deal to Dave Steakley and the entire ZACH staff. I wouldn’t be the man or the actor that I am today without that theater and the friendships that I’ve forged during these many years.